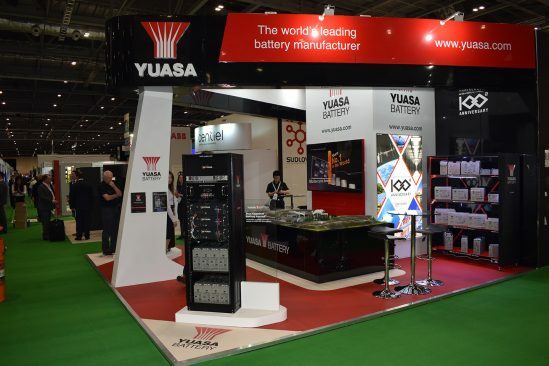 GS Yuasa Battery Sales UK Ltd, the world’s leading battery manufacturer, will launch an innovative new Uninterruptible Power Supply (UPS) battery temperature monitoring solution at this year’s Data Centre World at Excel, London on 12/13 March. The leading Data Centre exhibition will be the first time the new Yu-Power battery monitoring package, which consists of the Yu-Power YPCBM2 Battery Temperature Logger, the Yu-Power YPCBL2 Battery Temperature Logger USB Wireless Receiver and accompanying dynamic software, has been on show to the industry. When used together, the Temperature Logger and Wireless Receiver monitor temperature and voltage, communicate wirelessly and determine if a battery system is operating within recommended guidelines. These products ensure long service life and reliable performance by continually monitoring key parameters. The Yu-Power YPCBL2 Battery Temperature Logger USB Wireless Receiver comes with powerful analytic software designed by Yuasa engineers. This Yu-Power software performs real-time accurate voltage and temperature data logging; produces temperature and voltage alerts in the form of graphs; has easy detection, set-up and personalisation of up to 1000 data loggers; and allows for customisable data downloads. 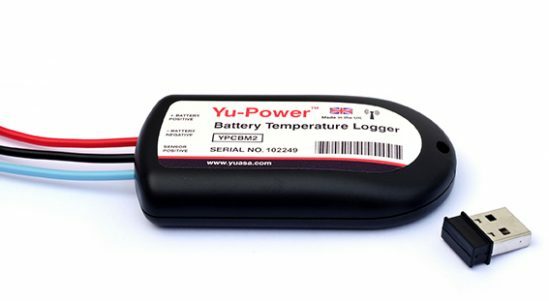 Yuasa will be giving away Yu-Power YPCBM2 Battery Temperature Logger demonstration kits on their stand. These can be easily connected to an existing battery system to start recording data. A personalised, on-site demonstration with Yuasa can then be arranged for a demonstration of the powerful system using the data collected. 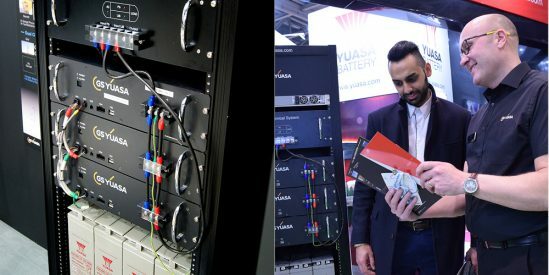 In addition to the exciting, new battery monitoring solution, Yuasa will also exhibit its dual chemistry battery system on its high-profile exhibition stand. Designed to utilise the best of both Lithium-ion and Valve Regulated Lead Acid (VRLA) battery technology, the system contains 12 GS Yuasa LIM50EN-12-F2 Li-ion high energy modules connected in parallel with FXH VRLA types to the same DC bus of a UPS. The dual chemistry system offers the low cost and recyclability of VRLA together with the higher efficiency and operational flexibility of li-ion. It allows lower capital cost UPS systems to be installed with lower operating costs and reduced electricity consumption. The leading battery manufacturer will showcase a wide variety of its market leading FXH, SWL, EN, ENL industrial battery ranges with a heavy focus on Data Centre and UPS applications. Visitors to the stand can also enjoy complementary hot and cold beverages and cold snacks whilst they receive technical product advice from knowledgeable Yuasa engineers and sales managers. Data Centre World London takes place on 12th and 13th March at Excel, London. Yuasa will be located at stand D1025. Register for free tickets online here.